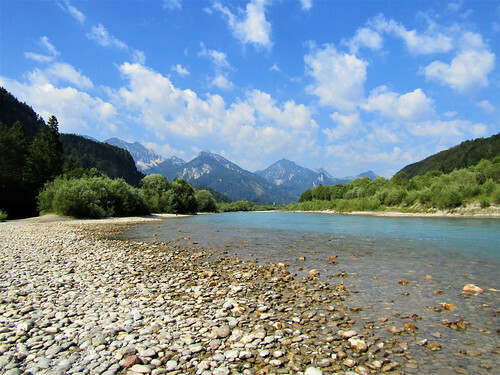 The River Lech is situated in Austria and Germany. 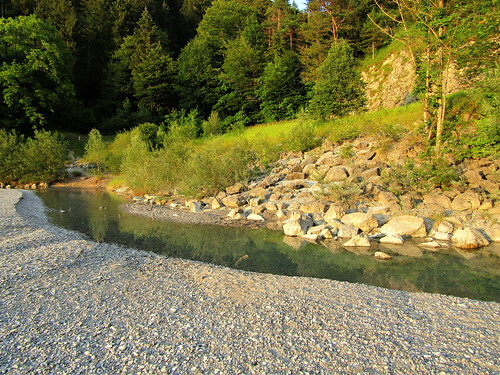 It's source is located in the Austrian state of Vorarlberg and flows after a distance of 255 km later in the Danube. 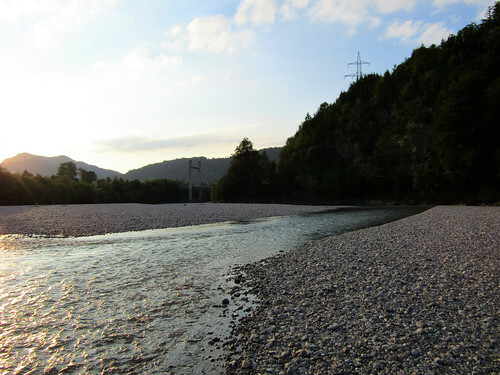 The banks of the Lech are covered with pebbles, togheter with the blue water and the Alps it forms a fantastic natural beauty. 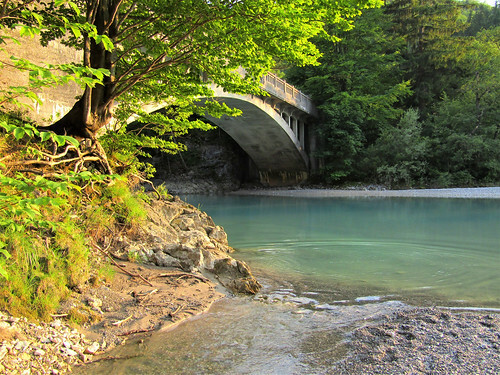 Location: Lech River, Pinswang, Austria.